Discussion in 'vBench (Works in Progress)' started by KenBoyle, Oct 27, 2017. Once again I continue with my focus on the US 1800s West. 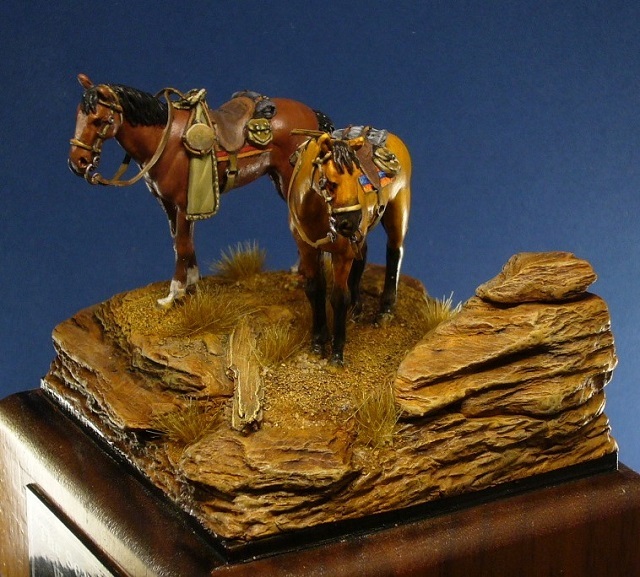 This time it is with Oniria Miniatures' 28mm kit titled "The Desert Centaurs". 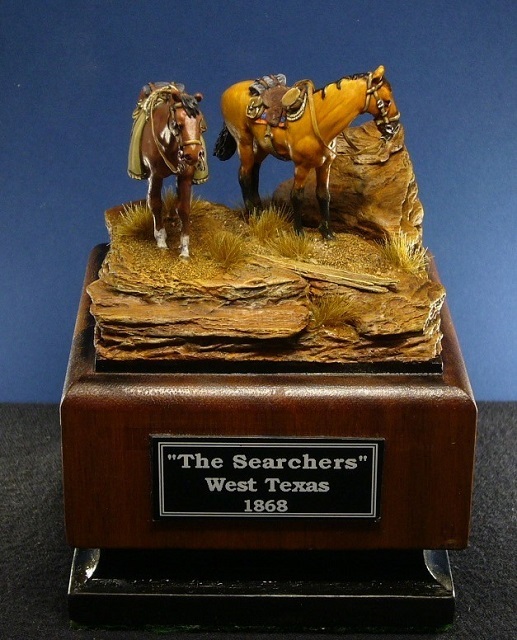 The kit is based on the movie western "The Searchers" starring John Wayne and Jeffrey Hunter. These are the two characters portrayed in the kit. 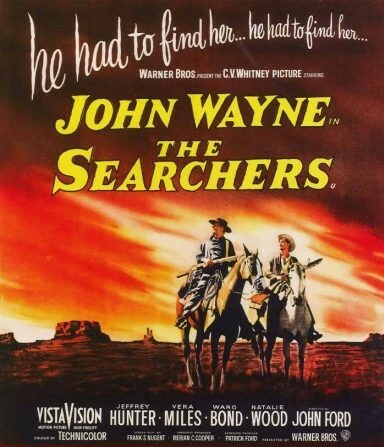 Movie plot: In this famous Western, Ethan Edwards (John Wayne) returns home to Texas in 1868 after the Civil War. When members of his brother's family are killed or abducted by Comanches, he vows to track down his surviving relatives and bring them home. Eventually, Edwards gets word that his niece Debbie (Natalie Wood) is alive, and, along with her adopted brother, Martin Pawley (Jeffrey Hunter), he embarks on a dangerous mission to find her, journeying deep into Comanche territory. I decided to do this WIP a little differently than normal. Rather than post off and on over a few weeks, I am breaking it down to only two parts, each covering a week or so of work with several in progress photos. My painting follows the movie stills and posters to a point. I decided a little artistic license in the painting, especially the horses, would make it more interesting, to me, at least. Here are a couple poster photos showing the same scene but with Wayne in both a blue and a red shirt. I chose the red shirt which he wore earlier in the movie as more colorful for my purposes. Next the assembled kit pieces prior to undercoating (pardon the "shiny" photos). 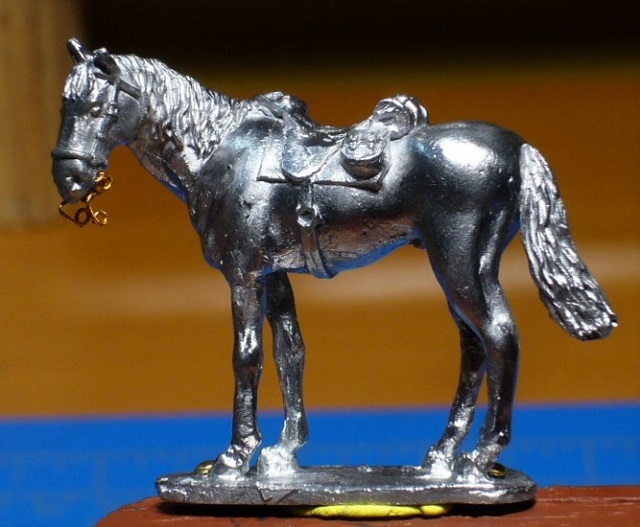 The horses come with a separate casting for the Bridle Bit, but I decided to make my own from thin wire. They are probably a little oversized for 28mm, but I personally couldn't make them any smaller and still stay sane. Maciej, phil_h, Sascha H. and 6 others like this. The next step was to make create the groundwork. 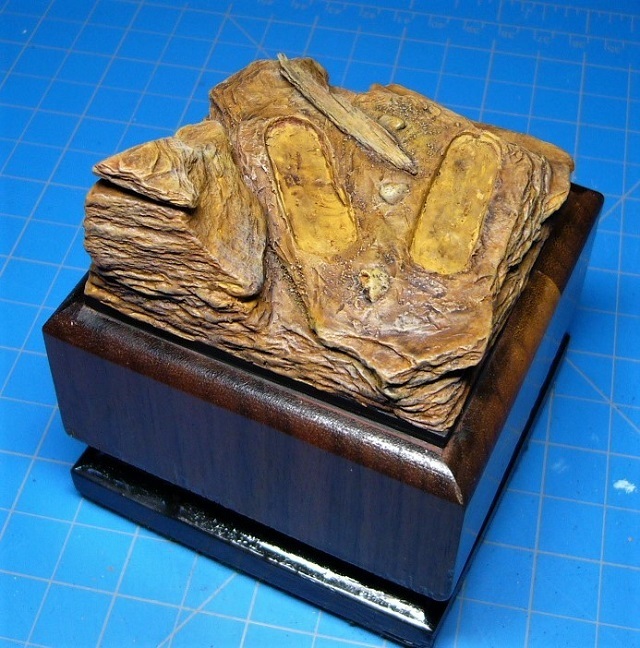 It is made, as usual, from pieces of slate and Magic sculpt. The different colors let you can see how I tied them together. I threw in a small log for variety. Because, at 28mm, the horses need to remain on their bases so they can be glued to the base, you can see the two depressions in the base where they will eventually fit. Next is the painted version minus any vegetation which I will add later. 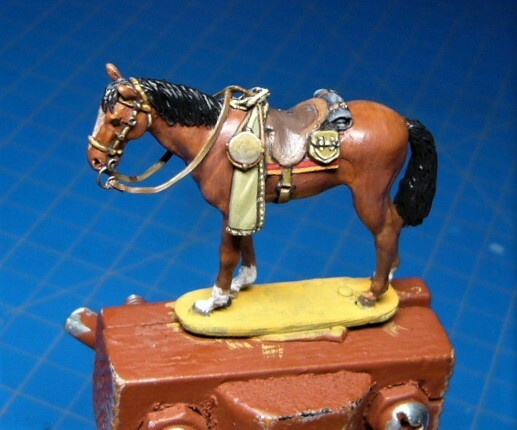 When the horses are added, I will touch up the groundwork and tie them all together. phil_h, Sascha H., Borek and 3 others like this. I decided to paint the Horses next and leave the riders for last. This allows me to totally complete the base and just add the riders at the end. John Wayne's horse. I went with a black mane and tail instead of brown as in the movie. It adds some contrast. 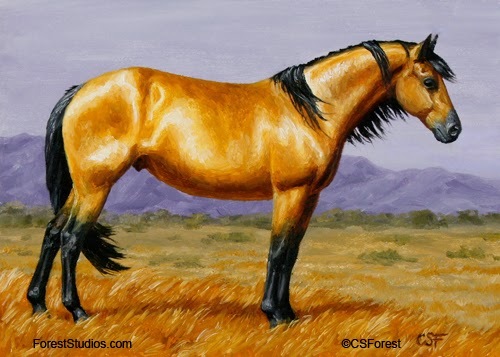 Jeffrey Hunter's horse. 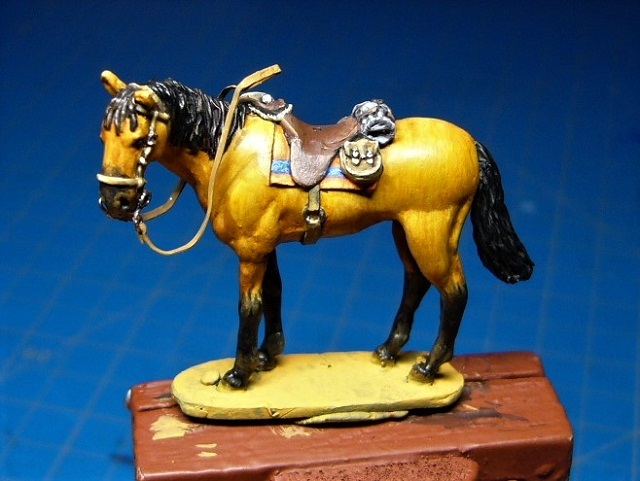 The horse in the movie appears to be a Buckskin. I pushed the color a little toward the reddish orange side to make it more colorful. Here is a photo of my inspiration. Maciej, phil_h, Sascha H. and 5 others like this. 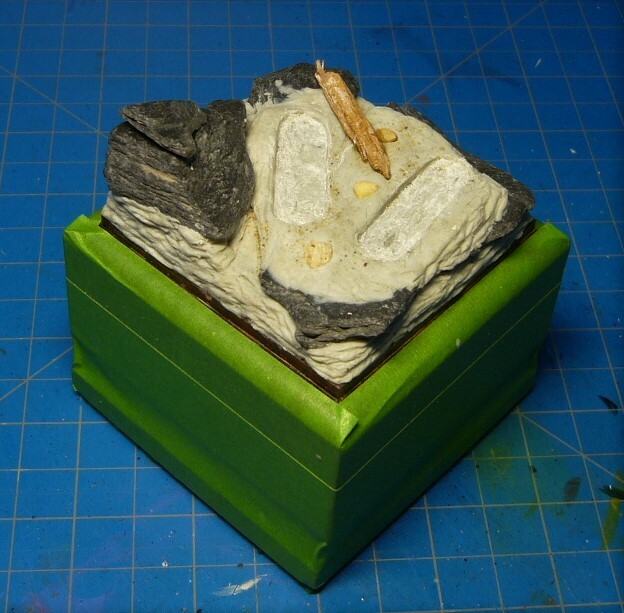 Finally for the end of my first WIP phase, here are the base, groundwork and horses completed. Now I'll work on the riders over the next few days and then post my completed vignette. phil_h, Sascha H., Chazman and 16 others like this. 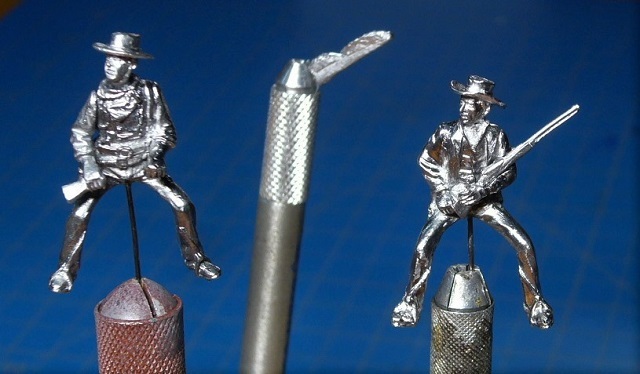 Keep em coming Ken, love your small scale work and on the Western theme too. Anything to do with John Wayne is going to be good. Thanks Bob! I do seem to be addicted to the Western theme. And John Wayne, well what can I say. fantastic ! can't wait to see you next post ! Big progress within a week and neat details in this small scale . Thanks Martin! I must admit, things go quicker in 28mm. "What do ya want me to do? Draw you a picture?" Absolutely my favorite Western ever. The ground work and horses look fantastic and I can't wait to see the vignette finished. Looking great. 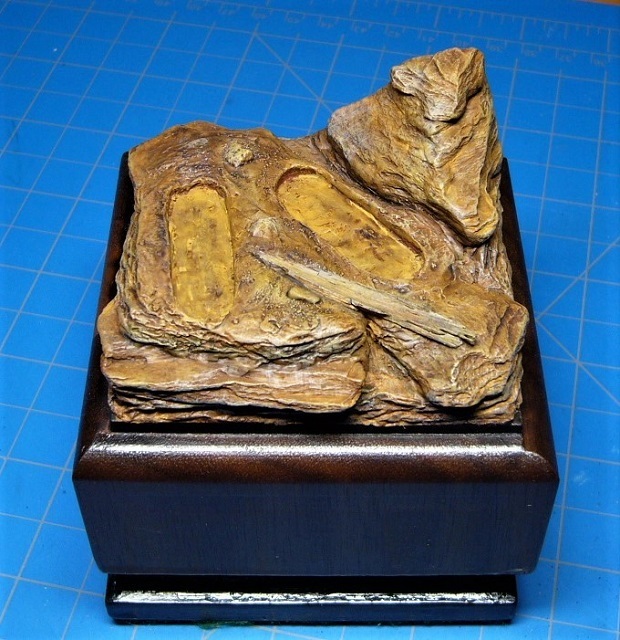 Really impressive on such a small scale. Thanks Scott! I love Oniria's kits based on the old movies... Such fun to do. Thanks John! 28mm intrigues me as I can fit so much more into a small footprint that fits easily into my display cabinets. Thanks Steve! 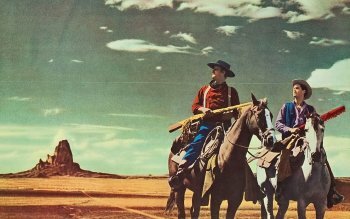 Westerns were also a big part of my brother's and my life back in the 50's, 60's and 70's when you couldn't turn the TV dial without finding a western series. They still are today for both of us. Fond memories! Too right, Ken! My dad still watches them now (well, so do I when I visit!) Classics! KenBoyle and marco55 like this. 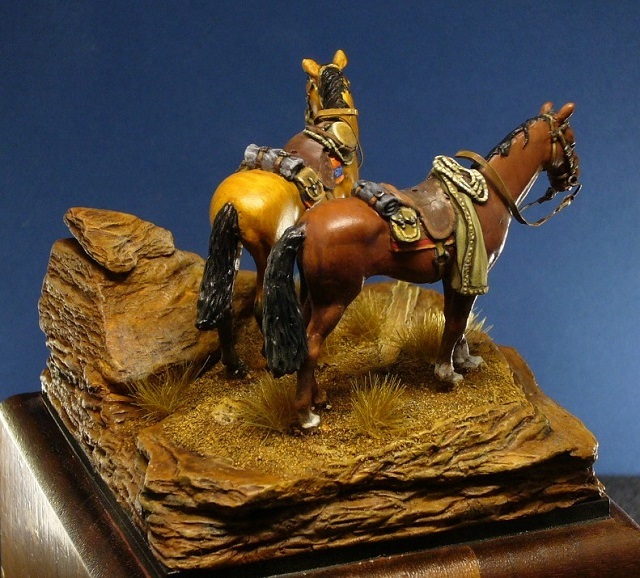 Love your groundwork as always and loved the way you blended in the bases.My only question is Jeffery Hunter's horse.It looks a little too yellow to me in the first photo of it.Is my eyes or the lighting or just the way you want it? It looks a little darker on the base. You observation is correct, the yellowish photo is incorrect. 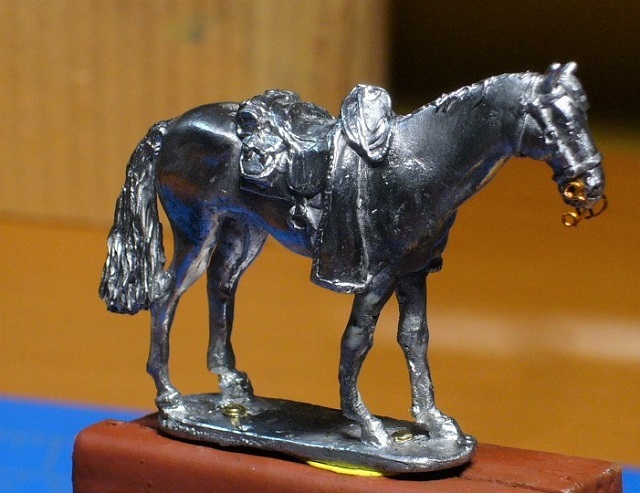 The final photos of the horses on the base were taken using my homemade light box and the colors are very, very close to the actual painted figure. I was lazy with the other WIP photos and just shot them directly on my workbench. I'll not make that mistake again, as it threw the white balance all off, hence the Yellow horse. Unfortunately, I didn't pay that much attention when I took them and since I had moved on with the project there was no way to redo them.